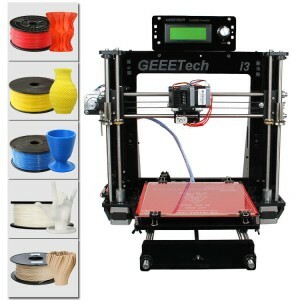 Duplicator 5 is a DIY dual extruder 3D printer by Geeetech, a Shenzhen based 3D printer manufacturer. 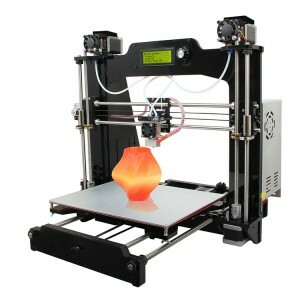 It is made to be the best companion for you to embark on the fascinating 3D printing journey. 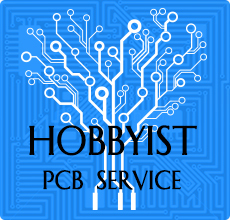 Its DIY design gives you unlimited joys when you are seeing a complete machine coming out of a pile of components. Hiding behind its gentility appearance is a slew of excellent features, making it outstanding among its competing products. 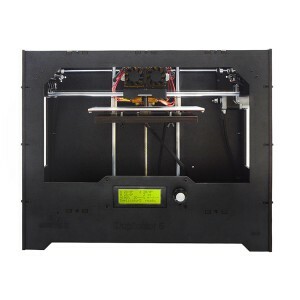 High printing accuracy and speed, incredibly thin layer height, stable frame, customized 3D printing software--- EasyPrint 3D, easy-to-manage LCD screen and open filament system. 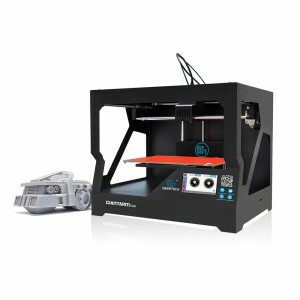 The most attractive one is its agile dual extruders, allowing you to print in multi-colors and unleashing your unique creativity. 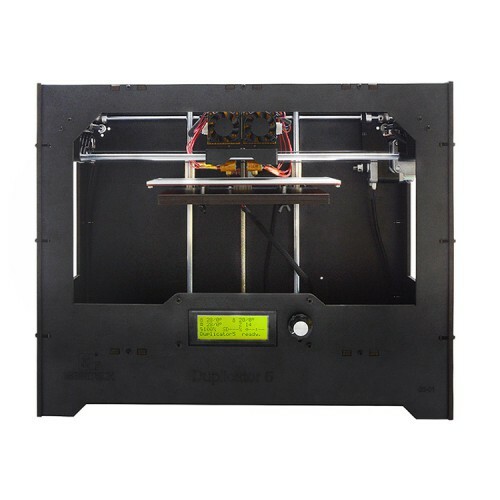 With an extra Wi-Fi module, you can upgrade Duplicator 5 to enjoy the convenience brought by our cloud 3D printing solution. 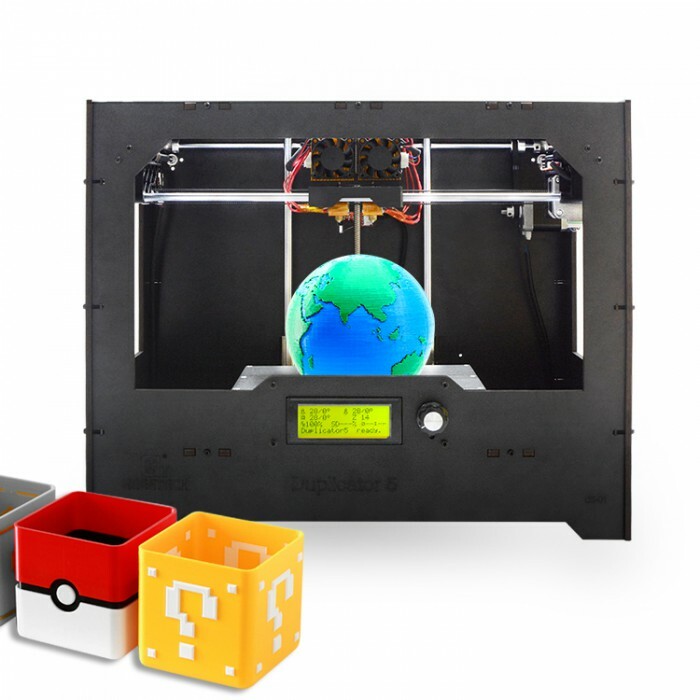 After you configure your Duplicator 5 with Wi-Fi hotspot, the cloud 3D printing solution enables you to enjoy a plenty of free 3D models, direct control over the whole printing process and share your printing experience via App anywhere and anytime. 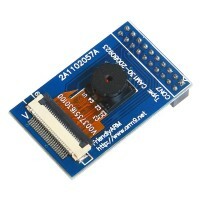 You can download the firmware from our wiki here. 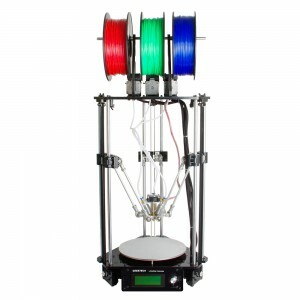 With dual extruder, you can print a single two-color object or two objects with each coming in different colors. Besides, you can just print one single-color object, as with other single-extruder 3D printers; or you can use one extruder for infill or support. High-quality wooden plank renders Duplicator 5 firm and durable as well as attractive in appearance. 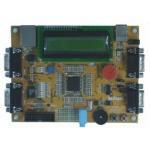 The main board and power supply unit are installed at the bottom of the printer, safe and space efficient. This structure lowers the gravity center of the printer, providing stable support for printing. 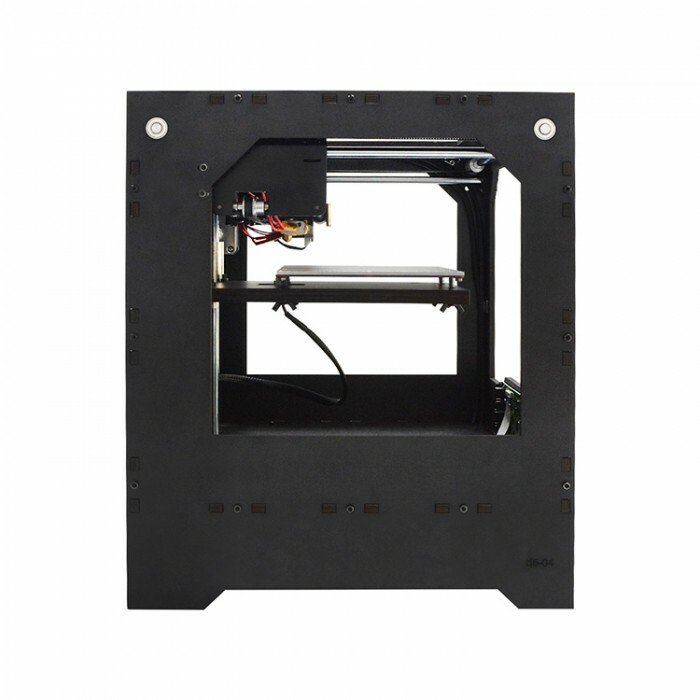 The half-opened design of the printer provides you with various perspectives to observe the whole printing process as well as enough protection. High layer resolution and tolerance deliver smooth surface finish and durable object structure. 230x150x150mm standard printing area, enough printing volume catering to your creative ideation. 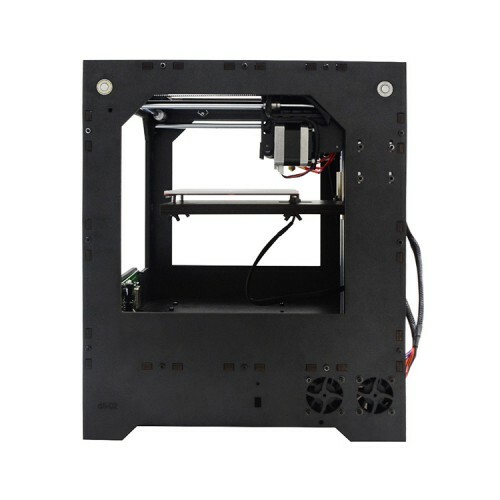 The main board is our self-developed GT2560 3D printer control board which supports dual extruder and comes with more well-designed interfaces. With its flash memory as 256KB and working frequency as 16MHZ, GT2560 control system empowers Duplicator 5 to run at peak performance. 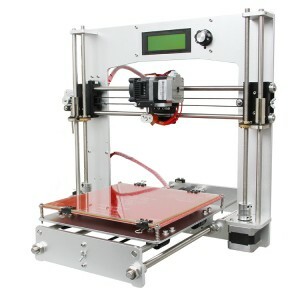 Duplicator 5 adopts LCD2004 controller, with which detailed printing status could be clearly presented on the screen. Besides, it is convenient to select 3D models and adjust printing speed, temperature and other parameters via the simple operation flow. With a SD card and the straight-forward LCD screen, Duplicator 5 can easily run under the stand-alone printing condition. 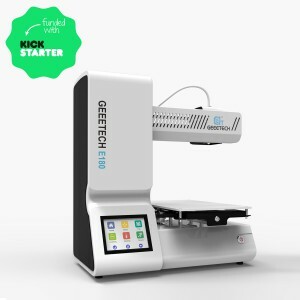 This allows Duplicator 5 to print untethered to your computer. ABS/PLA/Flexible PLA/ Nylon/Wood-Polymer, providing extendable space for your creativity. Give you a wide range of printing choices. After you upgrade Duplicator 5 with a Wi-Fi module, the cloud 3D printing solution is available for you to enjoy a plenty of free 3D models, direct control over the whole printing process and share your printing experience via App anywhere and anytime. Further simplified and stiffened parts make it a reality to assembly and adjust the whole frame fast and easily. 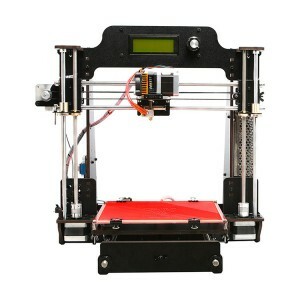 Building Duplicator 5 step by step, you will have an in-depth knowledge of 3D printers. Time-saving and full of the sense of accomplishment. 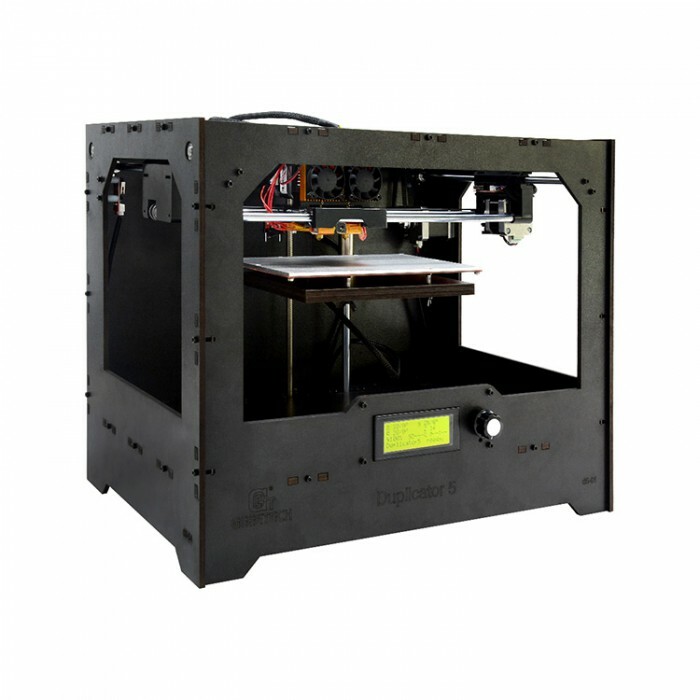 Duplicator 5 can be used to deliver practical printouts for different fields, such as art, fashion, household, learning, tools and toys. Meet your virtual needs. I just assembled then and now the X and Y are flipped... causing the motors to keep turning.. even when reaching the end..
Hi, finished assembly, but can't figure out: 1. route for cable to Z stop sensor. It should be obvious, but the wood base platform is too near the back wall making it unusable. Should I drill new holes and reposition the Z stop sensor? 2. the X stop sensor is placed within the Y carriage and it works fine, but it doesn't click reliable due to the extruding wiring (it clicks on the wires, not on the X structure or mount). Should I reroute the cabling (I did as it explained in the manual)? Please describe how to proceed. 3. it seems to me that the X-axis is reversed (although it is on the right side as it is in the manual). I move towards a higher X it approaches the home sensor, going zero it moves away from it. To correct this the X should be on the left side. It would also reduce the issue described above on point 2. I know I can reverse the movement on the firmware, but in that way (0,0) would be on the deep right. In fact, it should be on the front left, but the Y stop isn't placed on the front. Note: the manual on step 2.1.4 has the "up" and "down" switched. Worse, on step 2.2 (page 23) there are two photos that are not compatible with each other. The assembly "back" and "base" is wrong! the base is upside down. The second image is trying to fix that mistake, but I didn't get it. I just realized the mistake on step 12 (mounting the supply unit) and I had to "engineer" my way thru to reverse that error without disassembling everything. This is the cloud module? 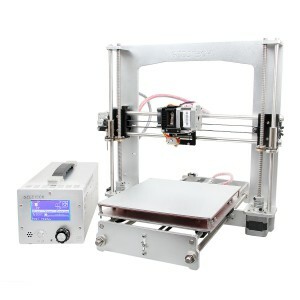 https://www.geeetech.com/iduino-yun-cloud-p-1009.html How to install/upgrade? 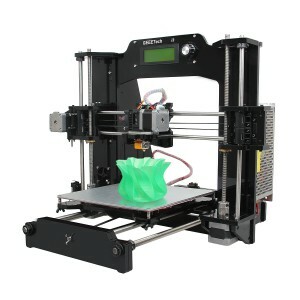 I will buy this printer in next 15 days and want the cloud module, but no found a "How to install" the module. Can you post the cloud upgrade manual, please? Thank you. 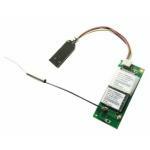 Hi Matos ,yes it can support wifi printing ,but sorry that the wifi module is still on processing now .Once ready there will together with the manual .pls note with thank. thank you. So, if i buy the printer, assembly and use, i will be able to upgrade the wi-fi module after? Hi Matos ,sure that it can .Dont worry that . I bought my last week. Waiting anxiously. Hi Robson,happy for you and wish you received soon. Awesome !! :-) Great idea !! Hi Oliver,thank you ,will you wanna to take one .